Managing the health of distribution assets is critical for utilities to reliably and economically manage their distribution systems. Aging assets and evolving load profiles have intensified the need for utilities to monitor the performance of their distribution assets, identify reliability issues and maximize asset utilization and replacement strategies. Landis+Gyr’s Advanced Grid Analytics Asset Loading application extends the value of utility AMI investments across the utility enterprise by providing utilities with systemwide visualization and asset health, loading and performance analysis of their distribution assets. Utilizing advanced powerflow algorithms and data from AMI meters and grid sensors, the application geospatially displays and monitors accurate load profiles of each distribution asset. 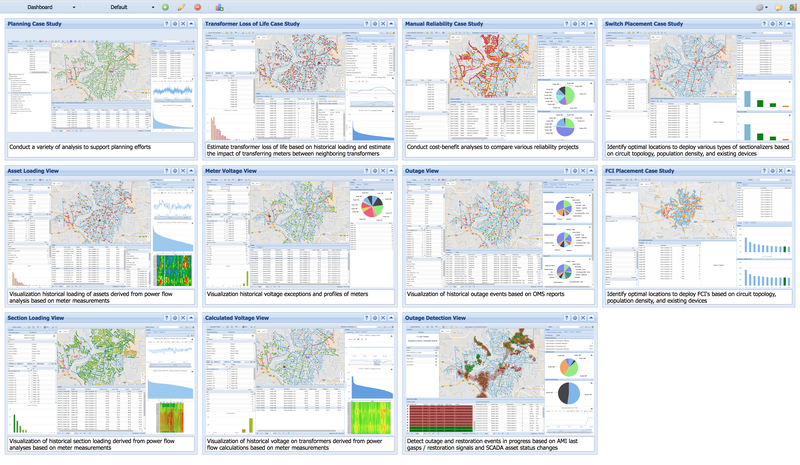 A detailed view of the distribution system condition provides actionable information for engineering, operations, asset management, and customer service groups within the utility to proactively address overloaded conditions and prevent unplanned outages, while also optimizing asset utilization and maximizing asset life. This insight into asset condition results in improvements in safety, reliability and customer satisfaction metrics. Additionally, awareness of system loading conditions improves operational efficiencies by giving utilities new insights into how to properly size equipment and analyze the impact of load conditions on transformer life, preventing unnecessary technical losses, strategically managing excess inventory and optimizing predictive maintenance strategies. 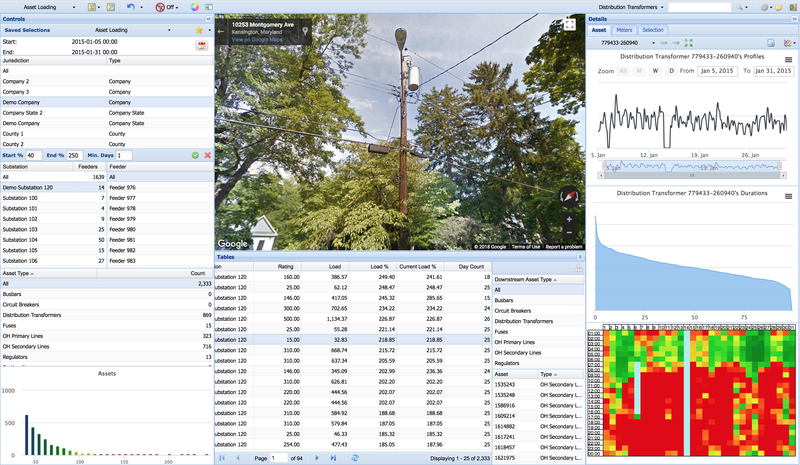 With complete loadflow analysis from meter and sensor data, utilizes now have better visibility and near-real time analysis of system change and voltage fluctuations caused by distributed energy resources and electric vehicles, improving grid planning for the integration of these and other new load sources being added to the grid. 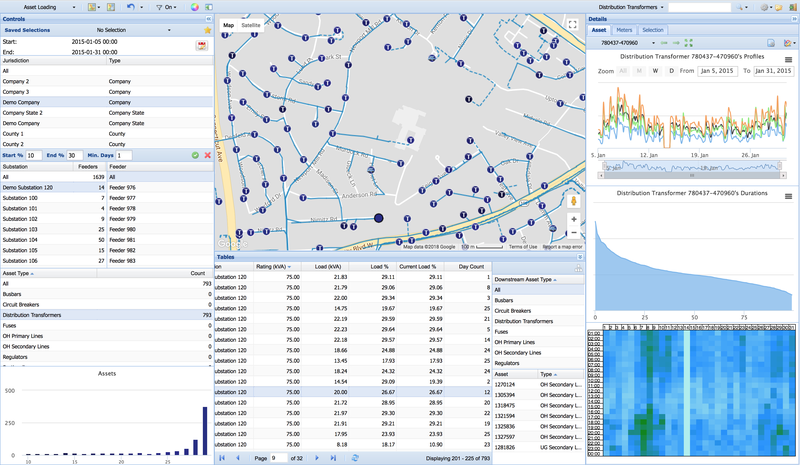 The Asset Loading application utilizes Landis+Gyr’s Advanced Grid Analytics platform that enables utilities to leverage data integration, visualization and advanced algorithms for multiple analysis and business cases. With adaptive, modular functionality, the platform and data can be utilized to support evolving utility needs, leveraging economies of scale and eliminating data silos and the need to manage multiple vendor systems. Each application can be deployed individually or as part of an enterprise solution. Flexible deployment options ensure that the benefits of the Advanced Grid Analytics platform are quickly achievable and easily accessible for utilities of any size, by deploying the platform within the utility’s own infrastructure, hosted in the cloud or delivered as a service offering.